(19-Jun-15) In a proof-of-concept modeling study, Munier et al. 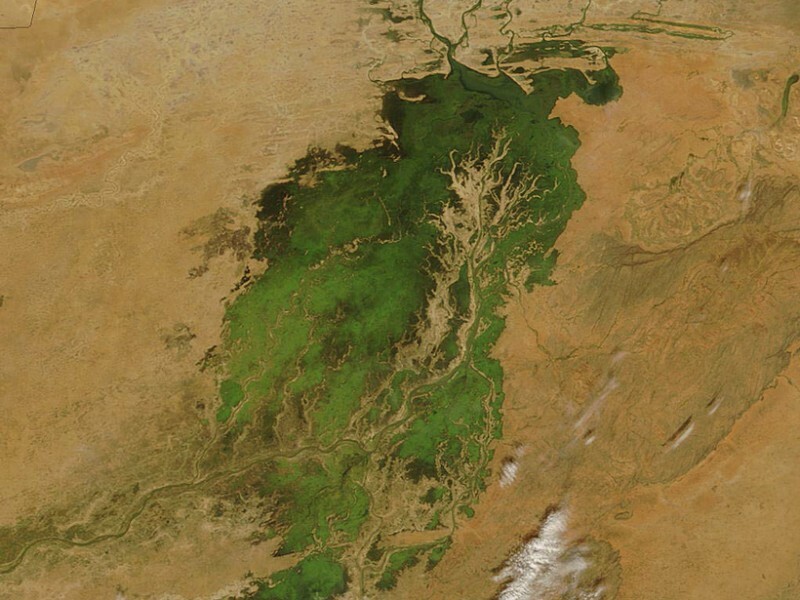 investigated the potential for using water level data from the upcoming Surface Water and Ocean Topography (SWOT) mission - a collaboration between NASA and Centre National d'Etudes Spatiales - to more effectively manage water resources in Mali's Upper Niger River Basin. In this study, the researchers incorporated virtual SWOT observations of reservoir and river levels into a modeling framework that simulates the hydrologic conditions on either side of Mali's Sélingué Dam. The results demonstrate that incorporating altimetry data into this framework improves estimates of water level and discharge, potentially helping resource managers ensure optimal reservoir releases.